It's not easy having a green thumb in space. Without gravity, seeds can float away. Water doesn't pour, but globs up and may drown the roots. And artificial lights and fans must be rigged just right to replicate the sun and wind. Necessary nutrients, like vitamins C and K, break down over time in freeze-dried foods. Without them, astronauts are increasingly vulnerable to infections, poor blood clotting, cancer and heart disease. 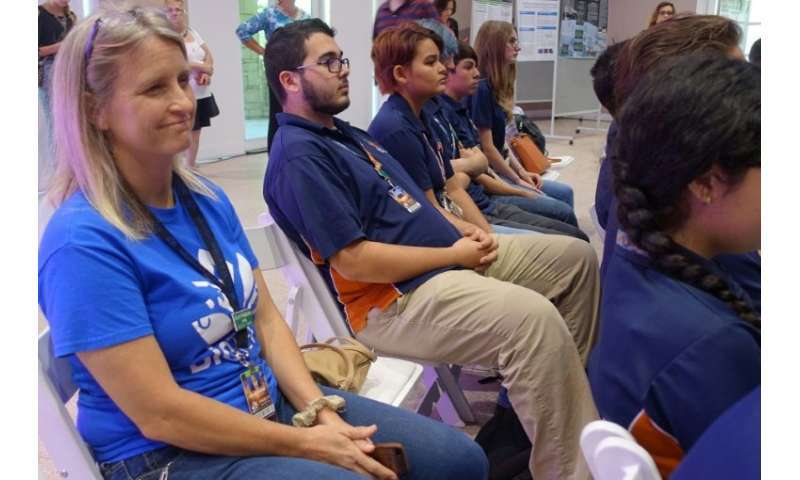 So the US space agency has turned to professional botanists and novice gardeners—high school students, in fact—to help them practice. "There are tens of thousands of edible plants on Earth that would presumably be useful, and it becomes a big problem to choose which of those plants are the best for producing food for astronauts," explained Carl Lewis, director of the Fairchild Tropical Botanic Garden, which is leading the effort. "And that is where we come in." 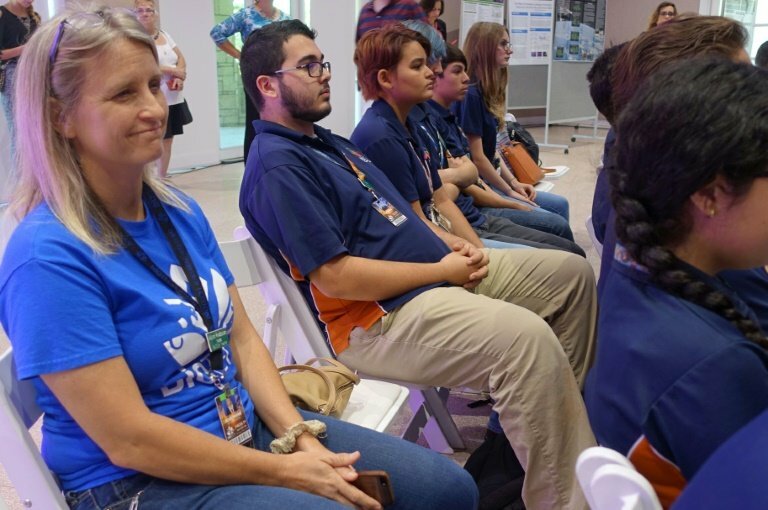 The four-year project is about midway through, and is paid for by a $1.24 million grant from NASA. "We're not using typical gardening equipment," said Rhys Campo, a 17-year-old high school student who tried her hand at growing red romaine lettuce this year. "We have setups that are a lot more high-tech." Still, some plants get overwatered, some classrooms are hotter or colder than others, and holiday breaks may leave the grow boxes unattended. In Campo's class, the lettuce dried up, and students were unable to taste it. "If you have a plant that does well in all that variability, chances are that plant will do well in space," she told AFP. Astronauts living at the space station, 250 miles (400 kilometers) above Earth have encountered their share of failures while gardening in orbit, too. 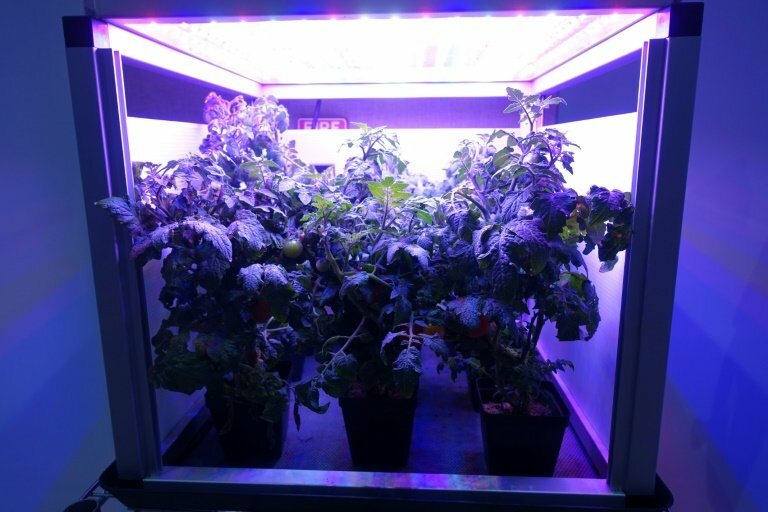 The first portable growing box for space, equipped with LED lights, called Veggie, was tested at the orbiting outpost in 2014. Some of the lettuce didn't germinate, and some died of drought. But astronauts kept trying, and finally took their first bite of NASA-approved space-grown lettuce in 2015. 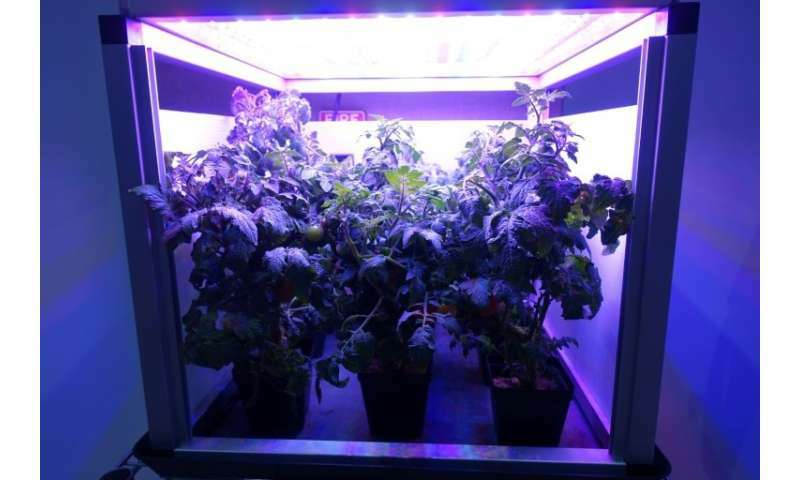 Now, there are two Veggie grow boxes at the ISS, along with a third, called the Advanced Plant Habitat. 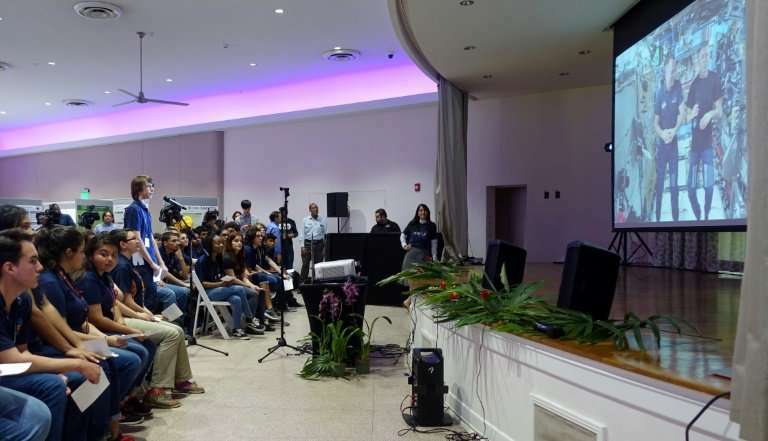 The food being grown is only occasionally harvested, and amounts to just a leaf or two per astronaut, but it's worth it, said NASA astronaut Ricky Arnold, during a live video downlink with students at Fairchild last month. Plants don't need gravity in order to grow. They just orient themselves to the light. According to Massa, a good space plant has to be compact and produce a lot of edible food. Plants also have to do well in a spaceship like the ISS, which has a temperature of 71 degrees Fahrenheit (22 Celsius), 40 percent relative humidity, and high carbon dioxide—some 3,000 parts per million. "That is something plants aren't adjusted to," said Massa. "On Earth it is about 400 ppm." Under a system Massa described as akin to hydroponics but not exactly the same, space plants also have to germinate from a plant pillow with only a small amount of dirt, do well under LED lights, and be microbially fairly clean, because it is hard to wash vegetables in space. By next year, tomatoes could be on the menu. Besides—as many gardeners know—having a plot dry up or be devoured by mold isn't the end of world. "The whole process of science is all about building. You can't learn something new without making a mistake."